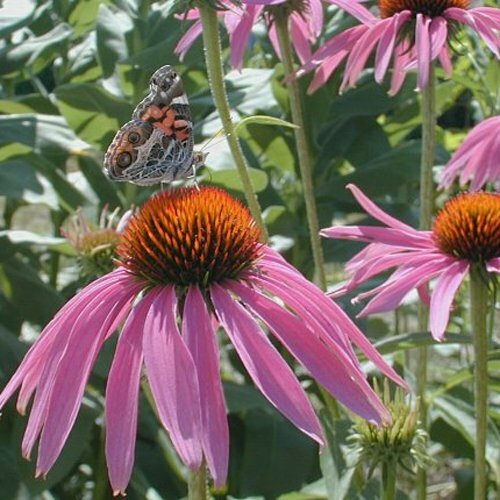 Purpurea Echinacea, commonly called purple coneflower, produces large purple flowerheads with reddish-brown cones. It is simply striking when in full bloom! Cutting the spent flowers provides for a rebloom. Pollinators cannot resist this plant! Plants perform best in well-drained soil and are drought tolerant once established. 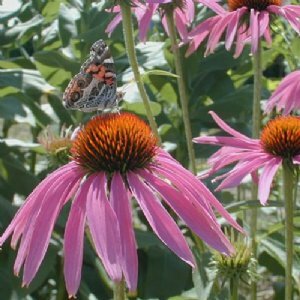 All our 'Purpurea' Echinacea Plants are grown and shipped in fine quality growing medium. They are guaranteed to arrive alive and ready to plant.